How Often Should You Workout Your Abs? If you ask people around the gym what their goals are, one of the most popular answers is to “get six-pack abs.” Far too many people, however, are misled about how to get abs and instead waste their time doing thousands of crunches and spend whole workouts just training their core. Your Abs Are Just Like Every Other Muscle! Just like you wouldn’t train your chest or legs every single day, you certainly shouldn’t be training your abs everyday either. Your abs need time to recover and grow so training them everyday will only lead to overtraining. Plus, if you have a solid workout program, all of the exercises you do will involve using your core. Some of the best exercises for your abs are ones that indirectly target them. For example, doing exercises such as pull-ups, dips, push-ups, squats, deadlifts, kettlebell swings, etc. may not be considered “ab exercises,” but they target your core, get it stronger, and will make your abs “pop”. 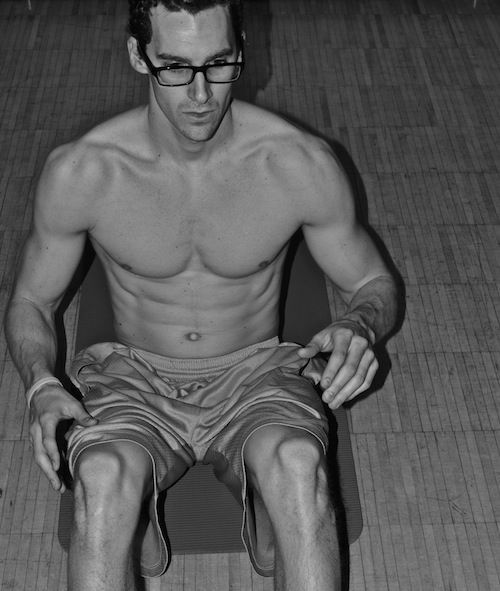 Having a strong core is essential in all that you do, so I do recommend training it directly a few times per week. Just how much you ask? Training your abs three days per week or every other day is far enough to have a very strong core. By having at least a days rest in between direct ab workouts, you are allowing the midsection to recover and grow just like your other muscles. It is best to train your abs after your regular workout, and stick to the time frame of 10-15 minutes at most. You do not want to spend 30 minutes doing straight abs exercises. Simply choose 2-3 exercises and cycle through them 2-3 times each. This will be far enough to get you a great workout. As you can see this would be a total of 9 exercises and would take you no longer than 10 minutes. Bodyweight or Weighted Ab Exercises? For beginners, it is always best to focus on exercises that contain just your bodyweight. 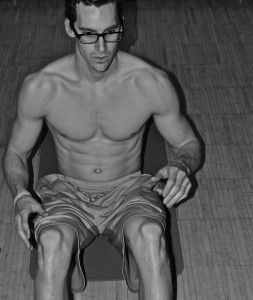 Your focus should really be on developing a strong core instead of trying to make your abs “pop”, as that will come later. Focus on exercises that require you to balance or hold in certain positions. For example, planks, side planks, and stability ball crunches are a good place to start. Once you feel that you have a solid foundation, you can then move into adding weight to your ab routines. As was said earlier, your abs are just like every other muscle: If you want them to grow, you have to train them with weight. Add in a comfortable yet challenging weight and work on completing 12-15 repetitions for each exercise. Just like you do not want to do thousands reps on the bench press in order to get a bigger chest, you also do NOT want to do thousands of crunches to get bigger abs. Find a good amount of weight and stay between 12-15 repetitions each set for best results. All of the workouts that you do require you to use your core, so the last thing you want to do is tire your core out before even starting the bulk of your workout. Therefore, the best time to engage in an ab routine is at the end of your workout. This will allow you to lift at full strength on the more important parts of your workouts (strength training portion). Train your abs every other day at most. Keep your ab workouts to 10-15 minutes. Focus on overall core strength. Abs “poppin” will soon follow. Abs are just like every other muscle: they need rest and when trained with weight, they will grow. Want my top five ab exercises? Find them HERE! P.S. Be sure to ‘Like’, Tweet, and +1!